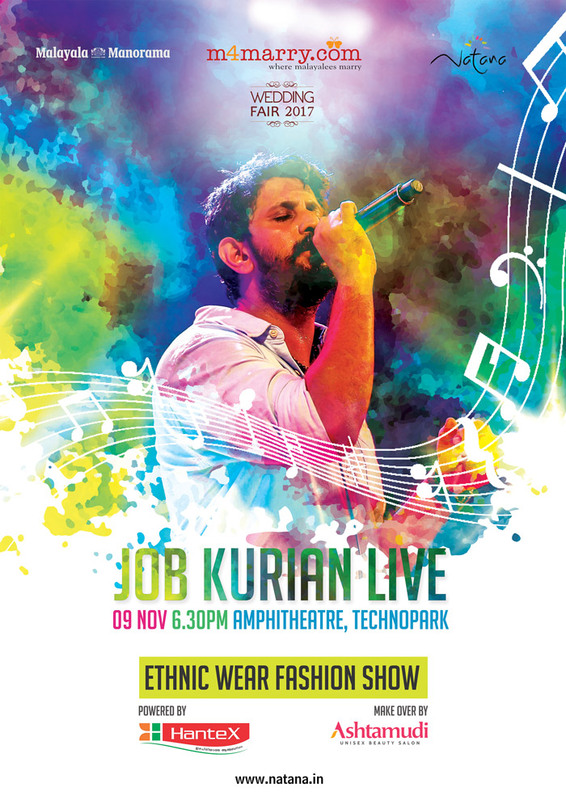 Natana in association with m4marry.com will organise a musical evening by playback singer Job Kurian on November 9, 2017, 6:30 pm at Amphi-theater Technopark . The event will also feature an ethnic wear fashion show by techies. The m4marry team and Natana conducted an audition for selecting ramp walkers from Technopark. Entry is free for all.